The Kingdom of Lesotho is an enclave entirely surrounded by South Africa. Lesotho, which means "the land of the people who speak Sesotho", was a British crown colony until 1966 when they became independent. The nation is over 1,800 meters above sea level and because of its elevation it has a cooler climate than other nations at the same latitude. Mountains, valleys, and rivers provide memorable scenery for tourists. This is where Lesotho gets its crystal clear water as well as green pastures for livestock. Minerals such as diamond are found in the mountains. Lesotho is the Kingdom in the Sky. In Miss World, Lesotho have participated 4 times. 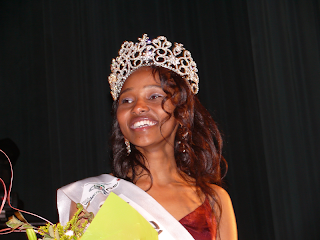 Karabelo Mokoallo is the fifth representative from this nation at the world's greatest beauty contest. TimesOfBeauty.com proudly presents Miss World Lesotho 2010 in an exclusive interview for our series Meet the Misses. I’m Karabelo Mokoallo aged 23 from Lesotho. I studied Biomedical Science in the National Health Training College in Lesotho. I also work on charity projects and modeling. While in college I carried out a project on Breast Cancer prevalence in Lesotho which led to me working with the Lesotho Breast Cancer Network on Breast Cancer awareness. I’m also a coach in “Kick4Life” where we promote HIV awareness through sports in schools and different Communities. I love making a positive impact in people’s lives. 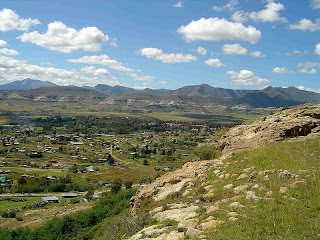 Lesotho is a very beautiful country in Southern Africa, it’s an enclave of South Africa. It is usually known to be “The Mountain Kingdom” or “The Kingdom in The Sky” due to its high altitude and relief. The beautiful mountain ranges in Lesotho, with its fresh and soothing breeze, contain the highest mountain peak in Southern Africa; “Thabana-Ntlenyana”. These mountains produce a lot of our “white diamond” (water) that also helps generate electricity. The hydropower station, which is built in in my home town produces about 90% of the country’s electricity. The water from Lesotho is also sold to South Africa. The country has two official languages, Sesotho and English and has got loving and peaceful nation. Most of the population in Lesotho are Basotho who speak Sesotho. I have been reading and learning more about Miss World, its background and the host country, China, so that I may at least know what to expect when I get there. I’m also trying to connect with the girls from their different countries before we meet. Ambitious! What ever I set my mind and heart on, I definitely go for it. I love trying out new things in life, which add value to my life. Being a successful woman who continues to go for her dreams. Opportunities never cease to come; I must have surely made a great impact in many people’s lives especially women, I’ll surely have the Breast Cancer treatment center built in Lesotho, and different place that may be in need. I believe both of the may work hand in hand, if I’m smart, no matter my financial status, I’ll find ways to getting a better life. Richness is not measured by what someone has but by what is in his or her mind and what he or she puts in action. Her Majesty Queen Masenate Seeiso, she is the woman of dignity. Despite her status, she still comes down to people and is ready to help the needy. 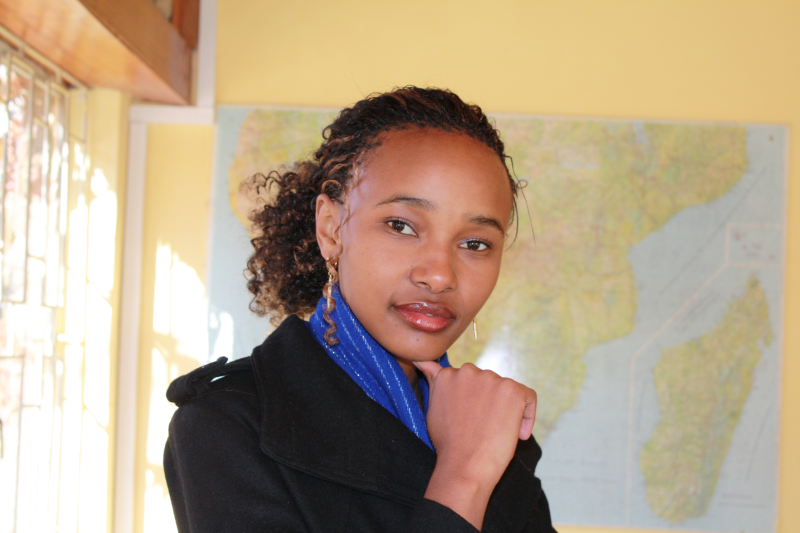 She’s also the founder of Sentebale foundation for the orphans. I think I would still choose Lesotho. It is one of the peaceful and beautiful countries I know. I love being in contact with nature, so looking at the mountains full of waterfalls really restores my peace. I find HIV/AIDS the biggest problem in the world especially when there’s not enough access to Antiretrovirals and availability of good diet. Since each year numbers of deaths due to HIV increase. I believe it’s important to raise HIV awareness especially in the youth, So that we may have a better future and have one goal of an HIV free generation. The beauty queen should express her personal views on the issue, rather than being politically correct because it’s important to say what she believes in and what she thinks since this is what really describes her. I would build new relationships with different people from different parts of the world, networking with the girls. I’m looking forward to knowing and touring China. 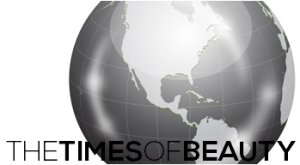 Beauty with a Purpose means having the heart for the less fortunate, thus giving back to the community. It’s not just about beauty by looks, but also the beauty of work. Hi, guys! I’m would like to thank you for your time, reading my interview. May you be blessed, and know that what ever you fill your mind with can definitely affect your future. Personal Motto: There’s nothing impossible if you believe. Favorite Color: I love mixing different colors, especially bright and strong ones. Favorite Movie: What a Girl Wants.